Want to guest post and spread female friendship to women everywhere? We are looking for women-interest bloggers or business owners who want to contribute to our blog and gain lots of traffic in return! We are looking for bloggers who post quality content in topics that interest women. Personal bloggers, writers, cooks, parents etc. We’ve been doing social media and blogging for a long time. If you are an SEO company looking for links or a company promoting your website/product instead, you pay to play. Fill out the advertising form here and we can help you reach your audience. In terms of topics, Popular topics for members are friendship, women stresses, time saving tips, relationship advice, parenting advice, beauty tips or any of the categories at the side. Blatant advertising of your company/website articles will not be approved. Send me a few topic ideas *before* drafting anything. Before you write a post, email me 3-5 of your best topic ideas based on all the above points, including prospective titles and a few bulleted “takeaways” for each. If you draft something without my thumbs up, I can’t help if I then reject it as unsuitable! Length of Articles really depends on the topic you choose. Some topics will need to be longer than others. “My advice is this: write as much as you want to write.” as long as it is over 500 words. An article that feels too short, or that lacks depth, will be sent back though. Nearly ALL of my most viral posts are more than 1,000 words. Spend some time on this. All posts will receive social media promotion(80k+ of accounts plus over 250k of Women on the site) and you will be able to include a byline and links back to your page/accounts. We do not offer compensation of other kind at this time. You will be required to sign a “guest writer post” waiver that says we own the content and your not using someone elses content. 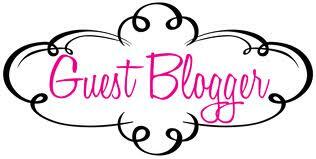 If you are interested in providing guest posts to Girlfriend Social’s Blog, Please fill out the following form.